The Debutante Ball was mentioned this week in John Kremer’s Book Marketing Update — you can read all about it here. Deb Lisa’s book Fifteen Minutes of Shame received a fabulous review in Publisher’s Weekly, “she delivers some surprising depth and a heroine with heart to root for.” You can read the whole review here. Deb Jess’s Riding with Larry Resnick has a new title, effective immediately: Driving Sideways. Deb Jenny’s book SLEEPING WITH WARD CLEAVER got an awesome and unexpected mention on Michael Feldman’s Whad’Ya Know?, a very funny variety show heard on National Public Radio stations nationwide. 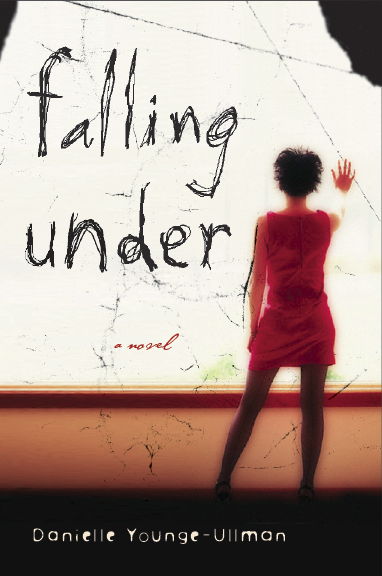 Deb Danielle has cover art for FALLING UNDER! Very loyal and dear friend of The Debs, Amy MacKinnon has sold her debut novel, TETHERED, about a young mortician who finds herself at the center of a murder investigation, to Sally Kim at Shaye Areheart, at auction in a significant deal!! John Elder Robison, whose fabulous memoir, Look Me in the Eye, about growing up with Aspberger’s Syndrome, launched just a week ago, has already made the New York Times bestseller list for non-fiction hardcover. Couldn’t have happened to a nicer guy! Deb Friend Tasha Alexander scored a lovely two-book deal in a pre-empt. Her next book, Tears of Pearl, continues her heroine’s journey, this time into the exotic land of Constantinople. Way to go, Tasha! Allison Winn Scotch sold her latest novel, Time of My Life, billed as Sliding Doors meets Family Man, in a pre-empt. Congratulations Allison! Deb Friend and New York Times Bestselling author Sara Gruen had a fun thing happen recently. Former President Bill Clinton was spotted buying her book Water for Elephants! Check it out here and scroll to bottom of page. Fellow Backspacer and LLL‘er (Deb Jenny belongs!) Kim Reid’s wonderful memoir No Place Safe is out and getting wonderful reviews.